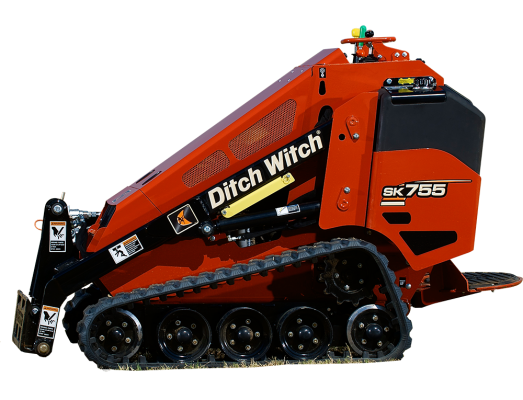 The Ditch Witch® SK755 Mini Skid Steer is built to outperform on any jobsite. Featuring a high-drive track system and an enhanced operator’s station, it delivers superior performance through increased ground clearance, more lift capacity, faster ground speed, longer track life, and more operator comfort. And with more horsepower to the attachment, the SK755 will help make you more productive job after job.